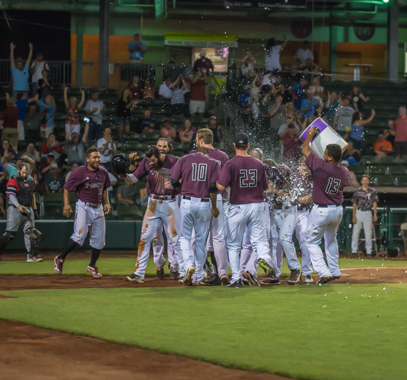 Nothing beats a group night out with the T-Bones! 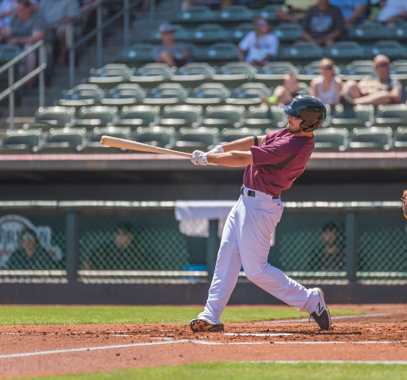 Jackson Lowery (pictured) and Tucker Pennell are set for 2018. 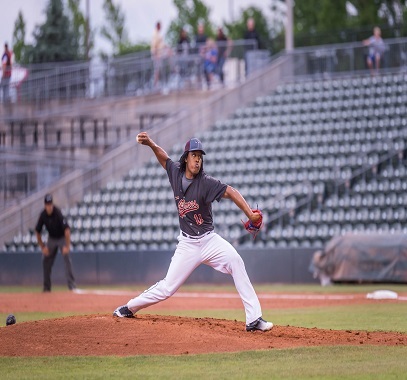 Leo Rojas retires from baseball. 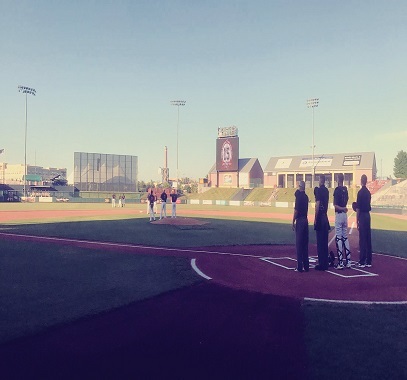 The road triip makes a stop in Kansas City. 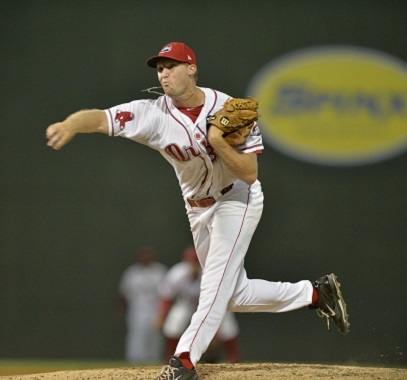 Former Angels farm hand can play all over the infield. 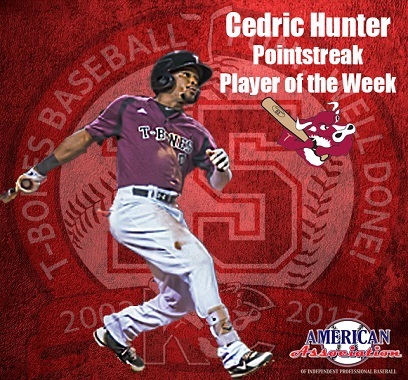 It is a clean sweep for the weekly awards! 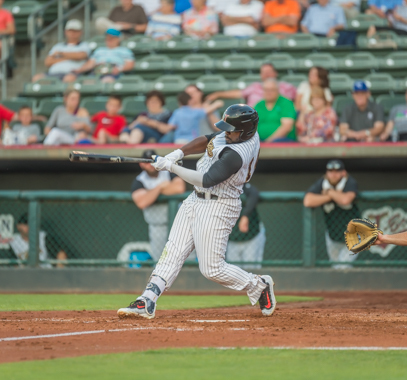 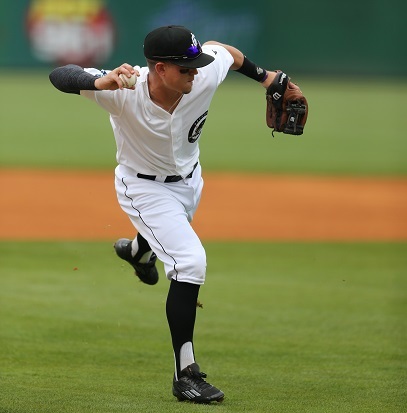 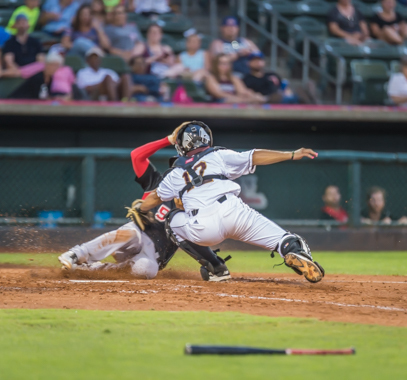 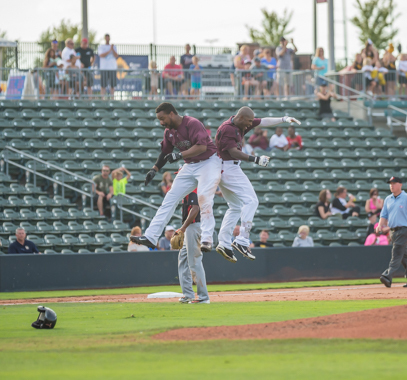 In T-Bones fashion, Kansas City swept the four-game series against Texas in a 2-1 tenth inning comeback after late game-tying heroics from centerfielder Cedric Hunter. 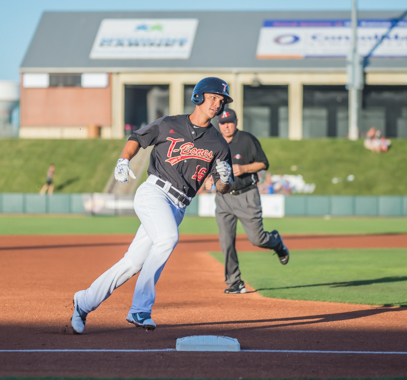 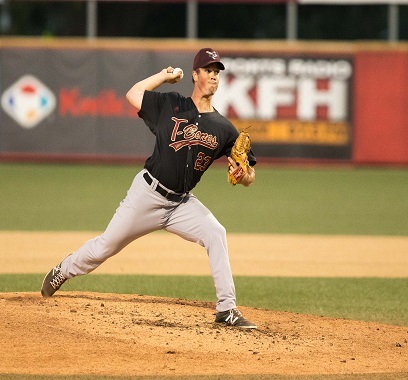 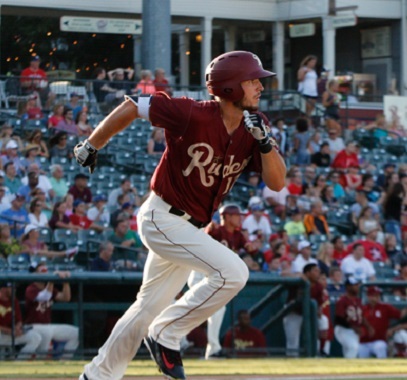 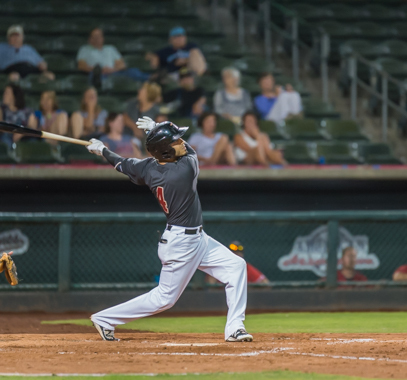 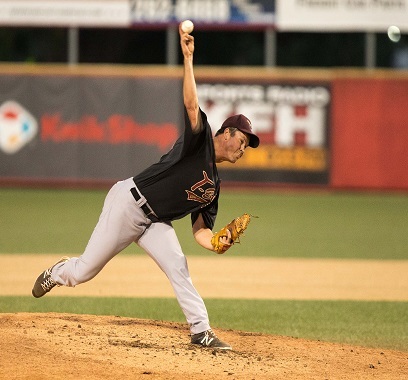 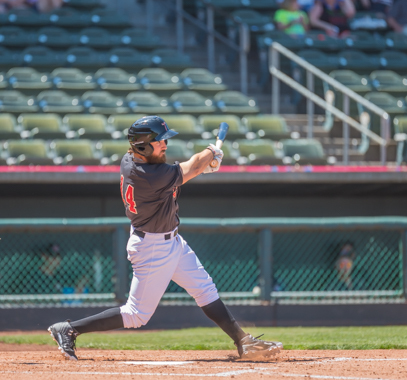 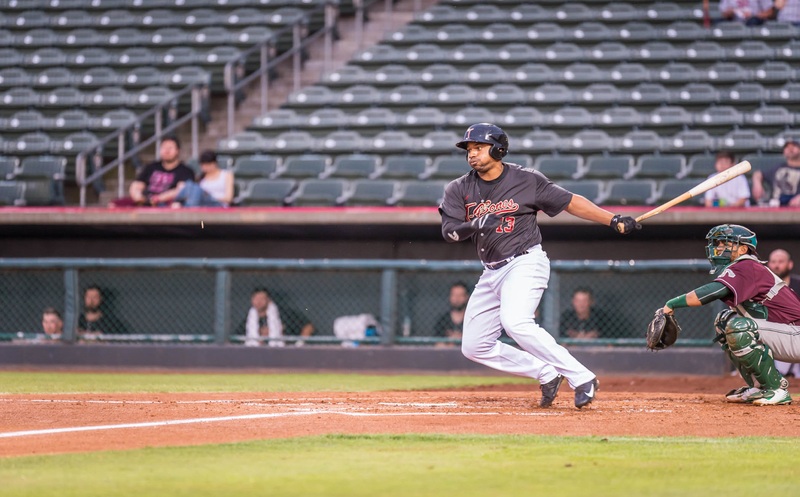 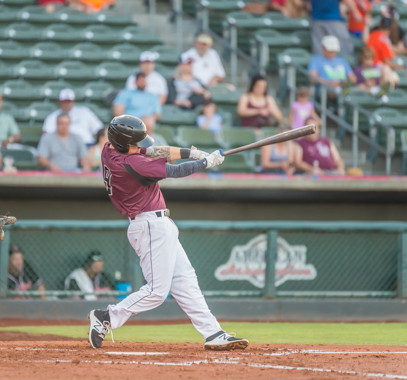 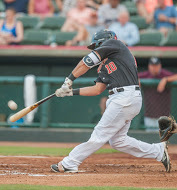 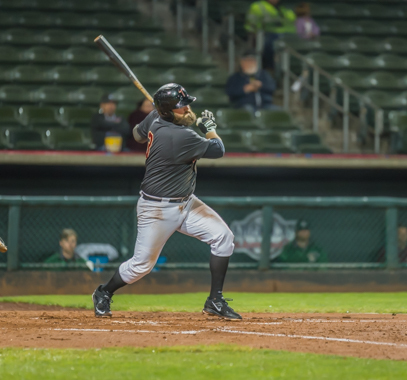 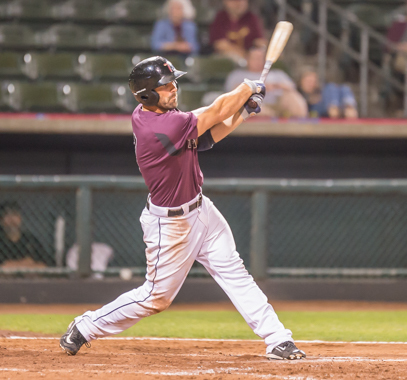 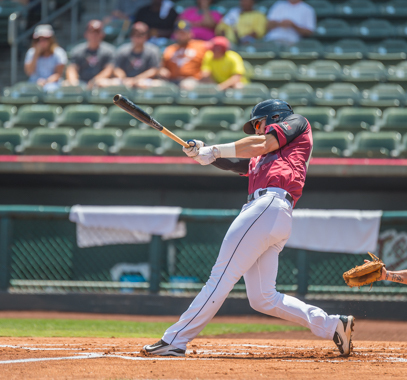 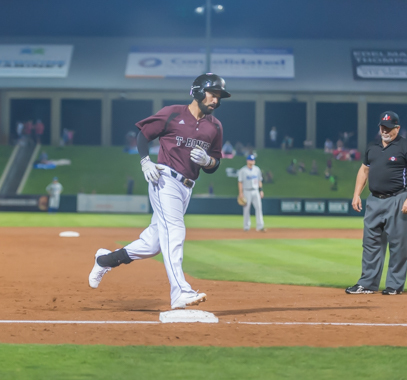 KANSAS CITY, Kan. – The Kansas City T-Bones notched their third straight victory, 6-2, over the Texas Airhogs on Friday night at CommunityAmerica Ballpark. 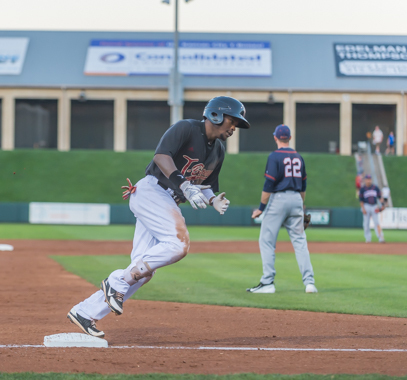 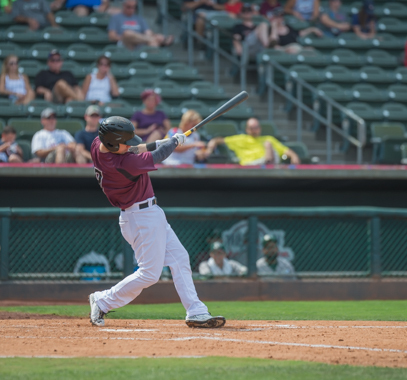 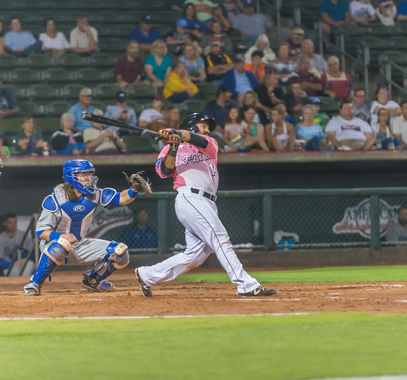 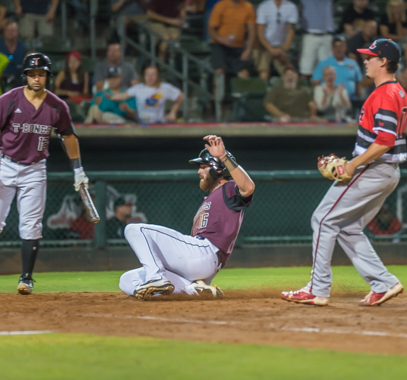 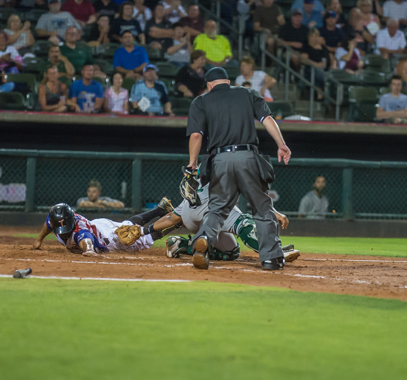 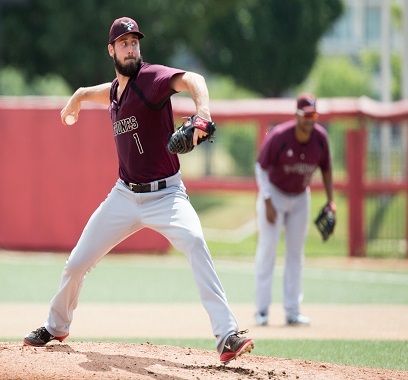 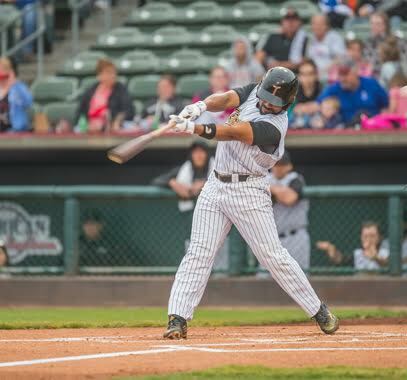 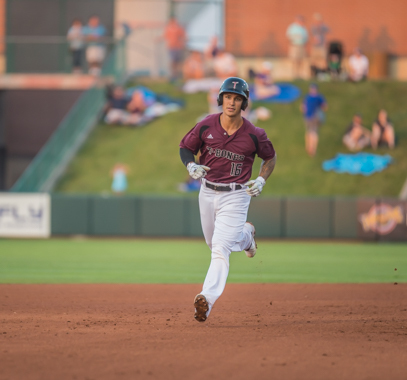 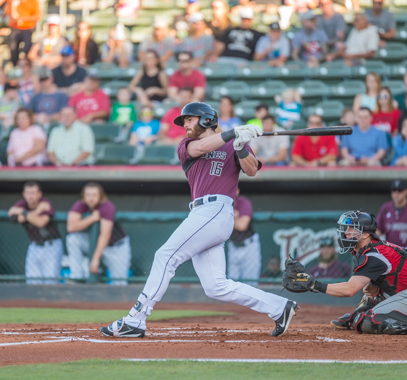 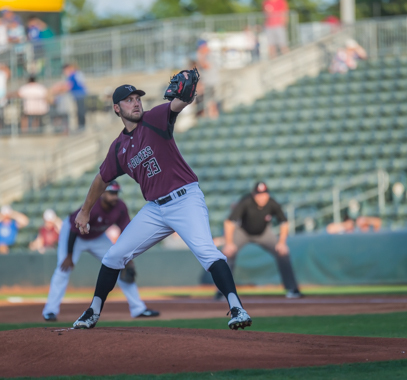 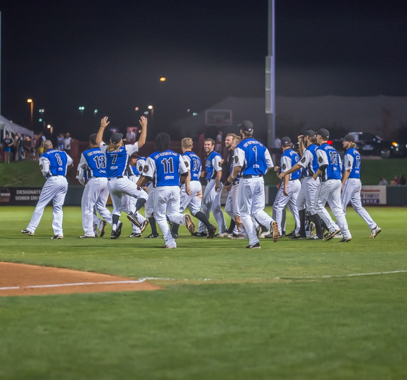 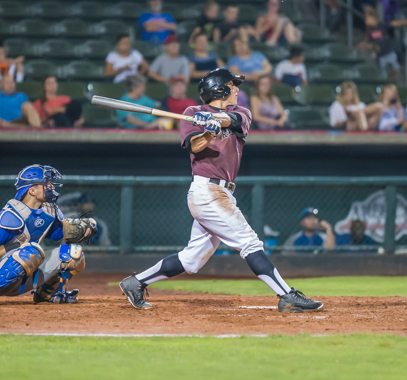 KANSAS CITY, Kan. – The Kansas City T-Bones swept the double-header against the Texas Airhogs, winning the second game 4-3, on Thursday night at CommunityAmerica Ballpark. 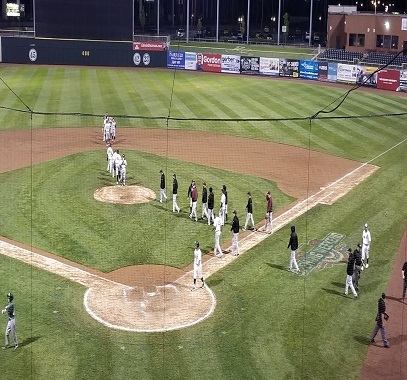 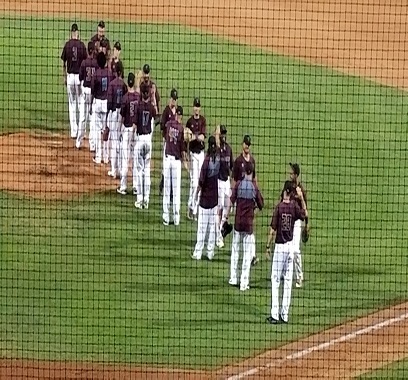 Sergey tosses no hitter as T-Bones walk off winners. 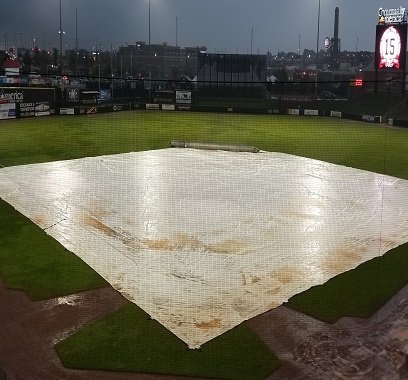 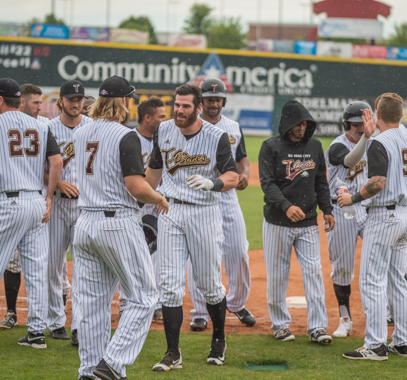 The T-Bones and Airhogs series opener was rained out on Wednesday evening. 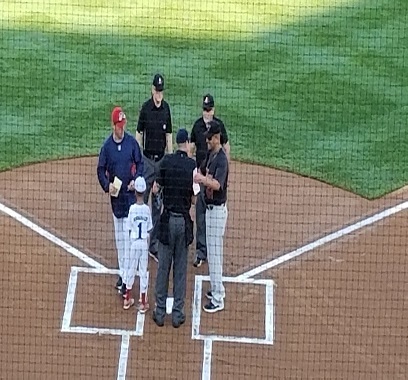 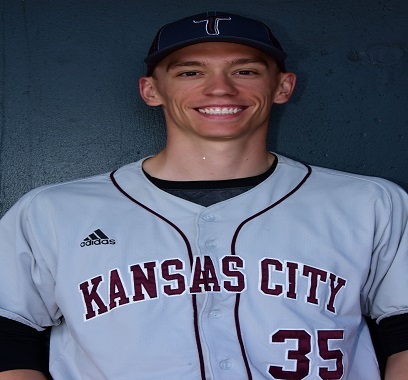 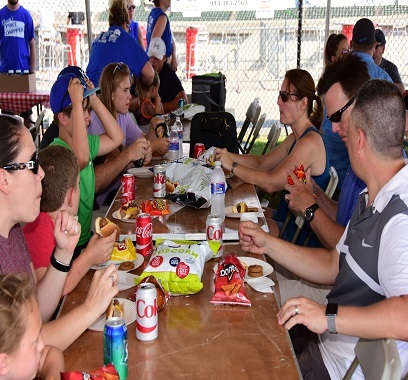 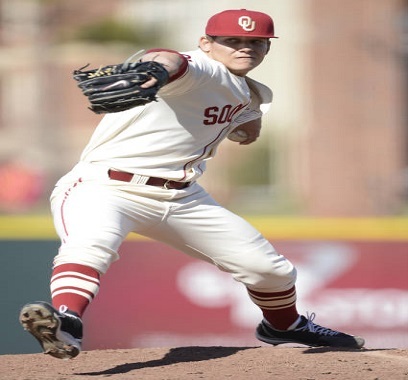 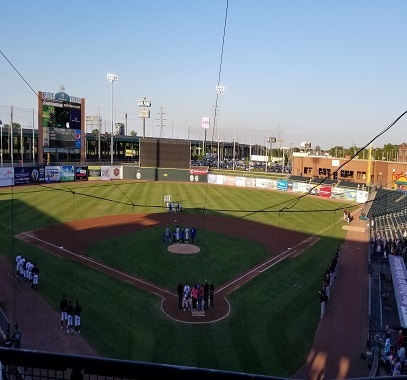 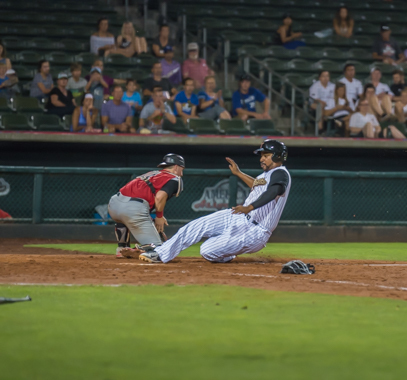 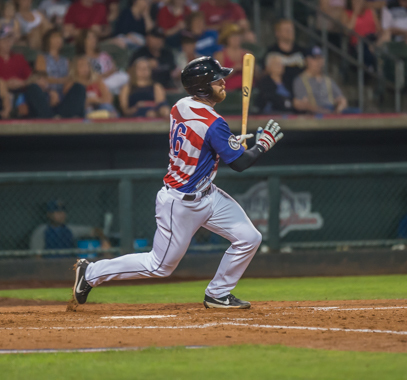 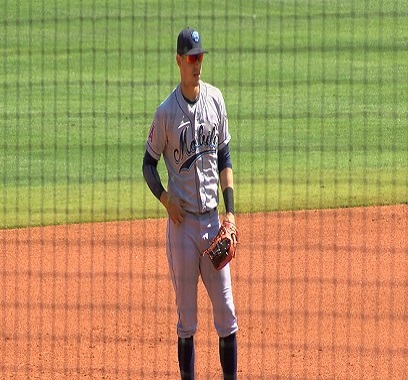 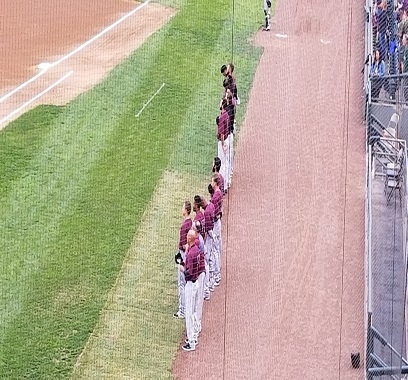 KANSAS CITY, Kan. – The Kansas City T-Bones fell short, 6-5, after trailing the Lincoln Saltdogs 4-0 early on Tuesday night at CommunityAmerica Ballpark. 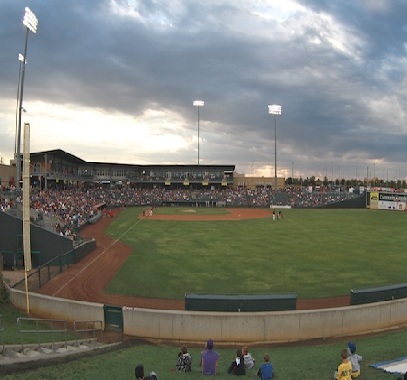 First Round pick will appear at CommunityAmerica Ballpark. 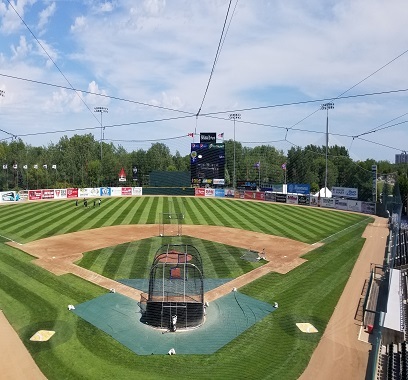 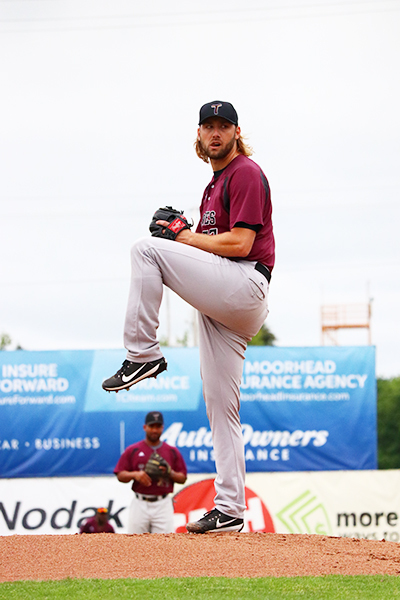 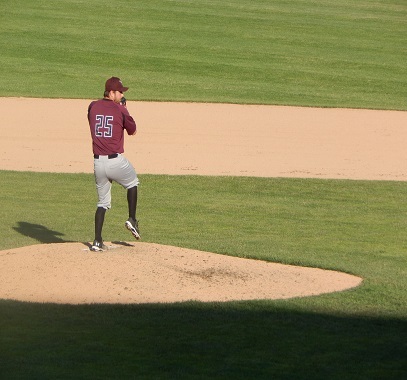 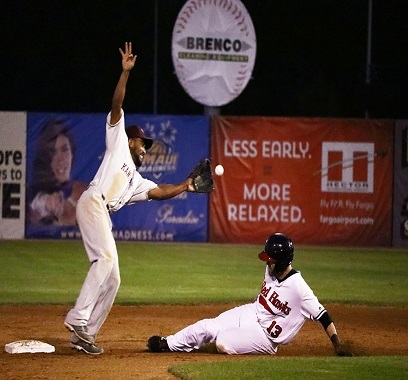 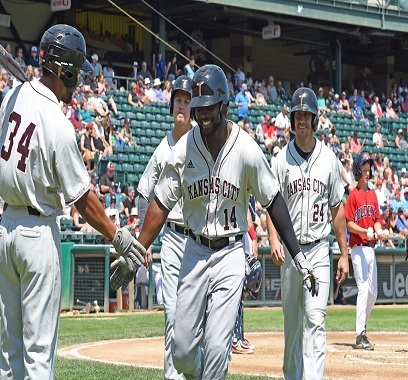 The T-Bones rolled to a 13-2 win over Winnipeg Sunday. 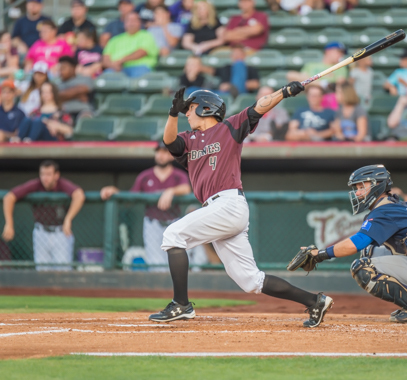 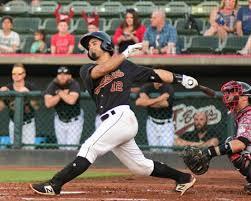 7-2 lead was not large enough as T-Bones drop third straight. 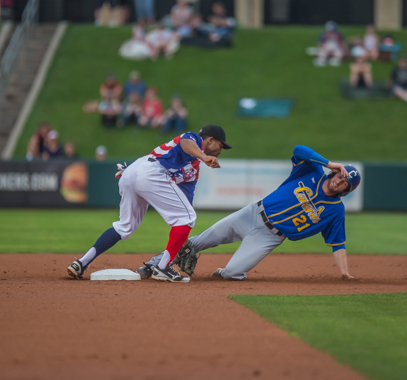 Long day at the office for Kansas City in 16-1 loss. 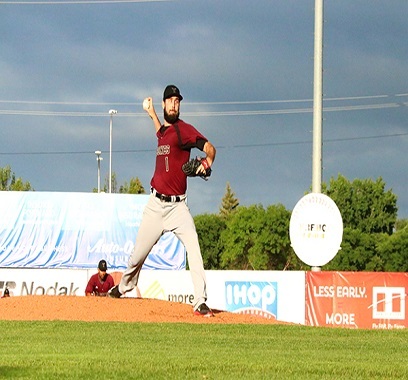 Scott Carroll notched his fifith win of the season. 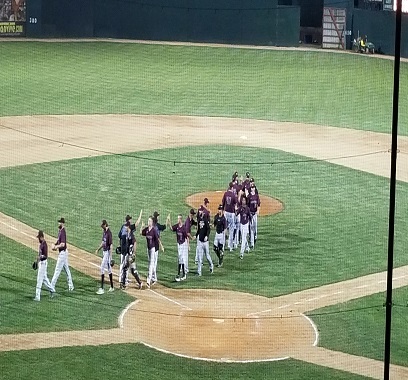 The T-Bones outlast the RedHawks 6-5 in 11. 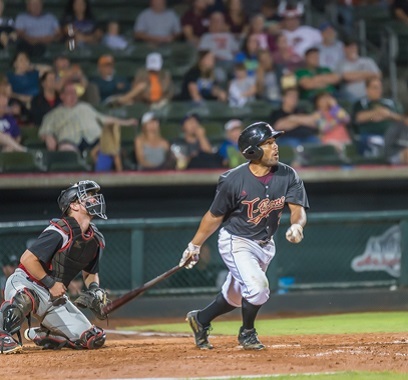 Follow the T-Bones on the road all season long! 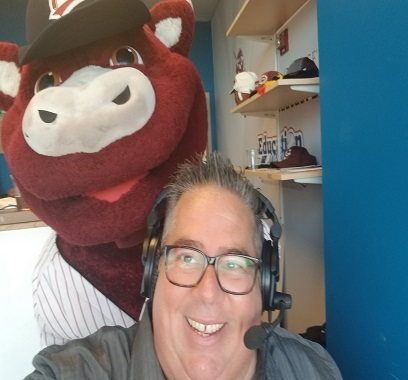 Tune in to all the T-Bones action! 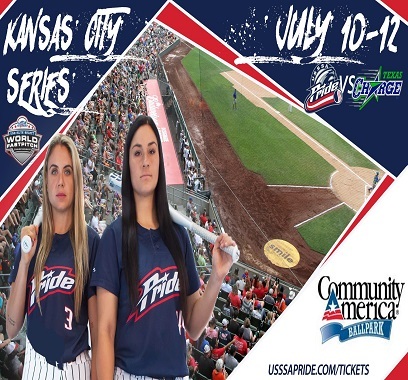 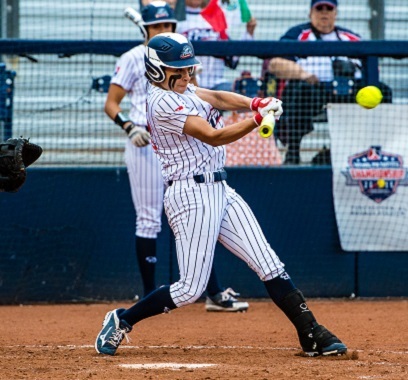 National Pro Fastpitch returns to CommunityAmerica Ballpark this week July 10th-12th ! 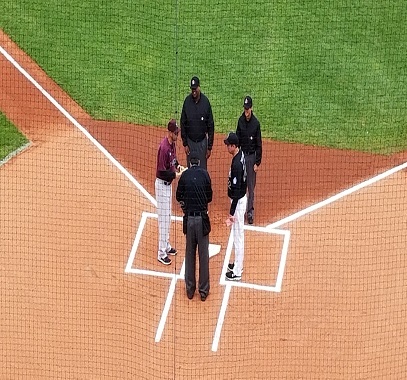 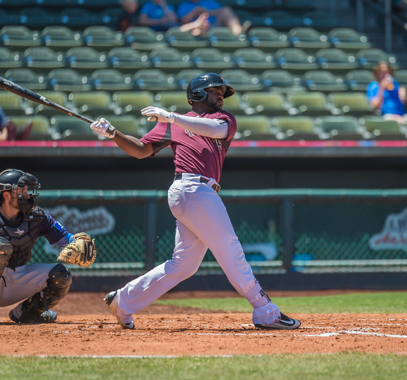 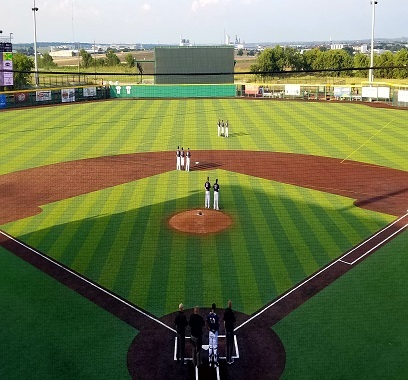 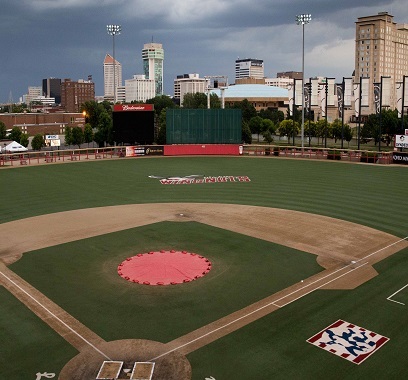 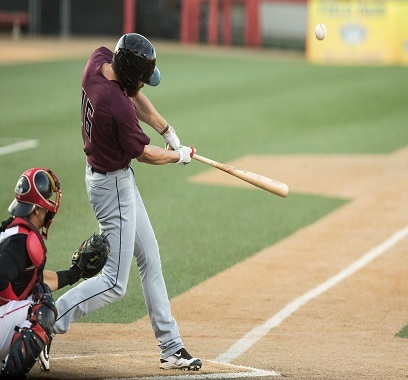 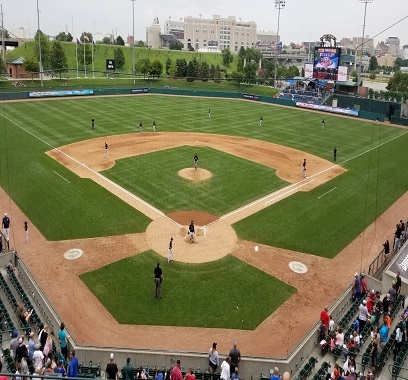 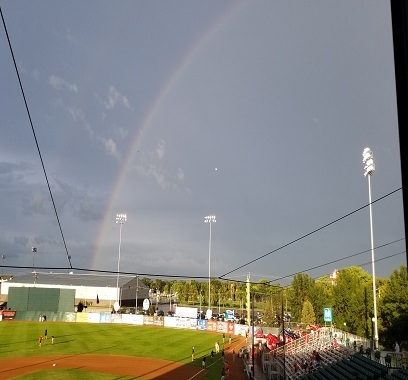 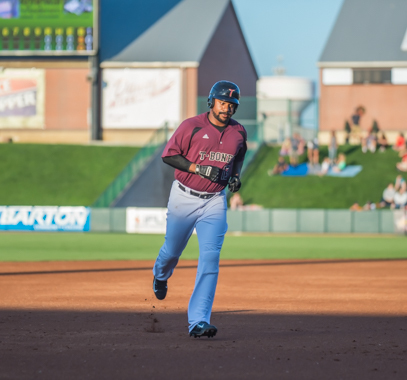 KANSAS CITY, Kan. – The Kansas City T-Bones beat the Sioux City Explorers in the final game of the series, 11-5, evening the series at 2-2 on Sunday afternoon at CommunityAmerica Ballpark. 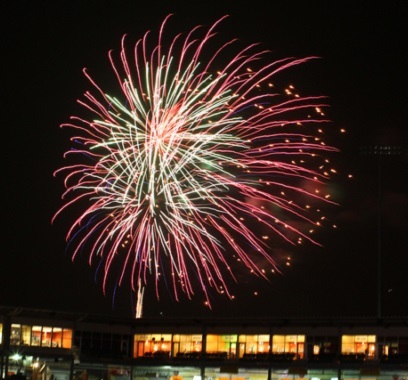 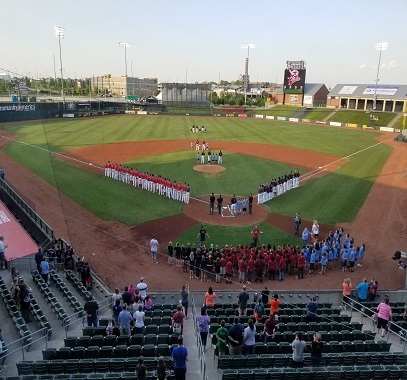 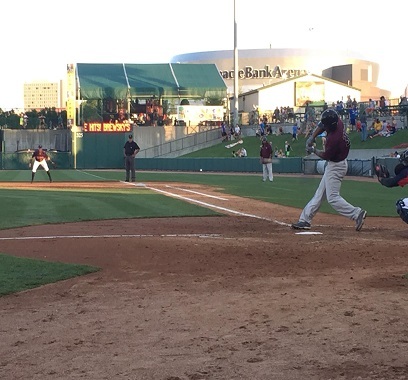 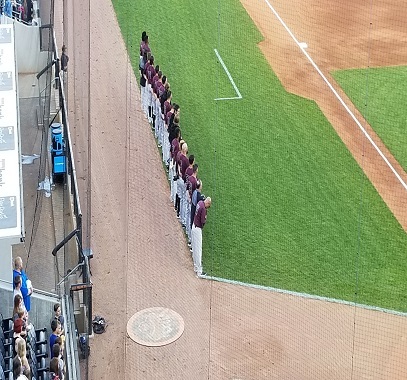 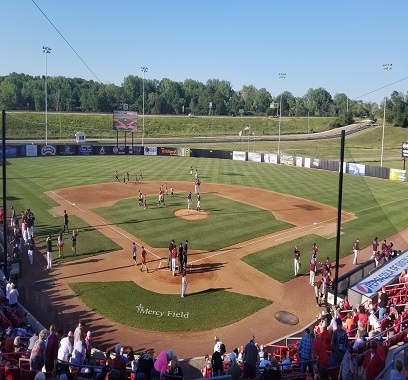 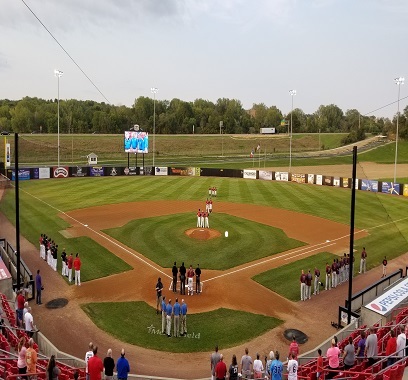 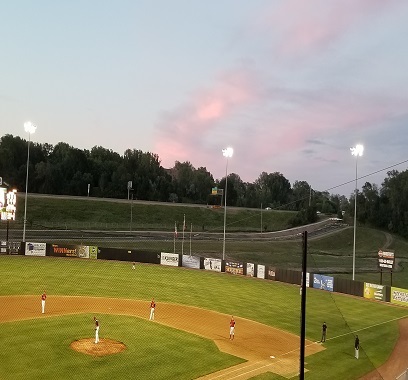 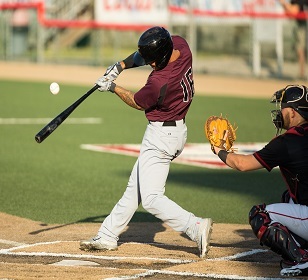 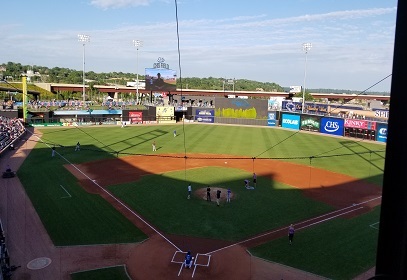 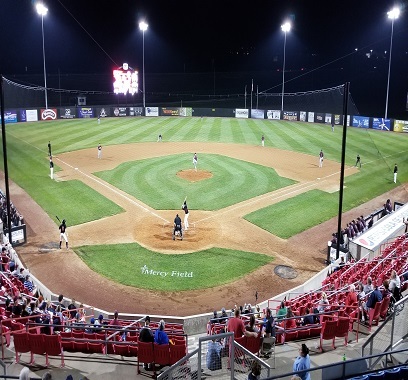 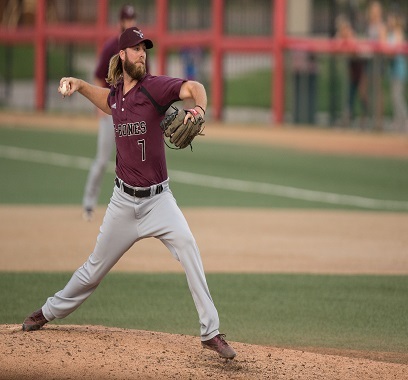 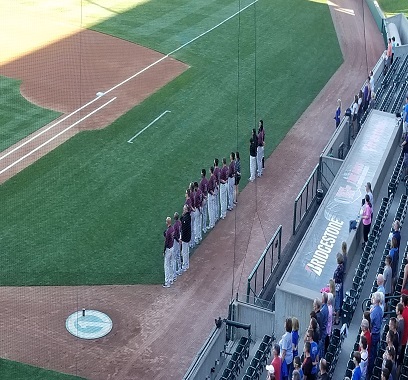 KANSAS CITY, Kan. – The Kansas City T-Bones dropped their second straight game in extra innings to the Sioux City Explorers, 5-4, in front of a crowd of 5,019 at CommunityAmerica Ballpark on Saturday night. 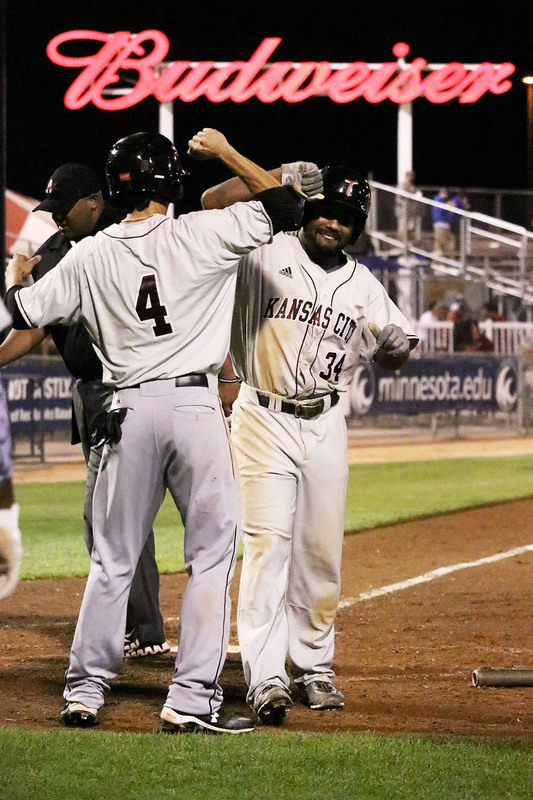 KANSAS CITY, Kan. – The Kansas City T-Bones fell 5-4 in 11 innings to the Sioux City Explorers on Friday night at CommunityAmerica Ballpark. 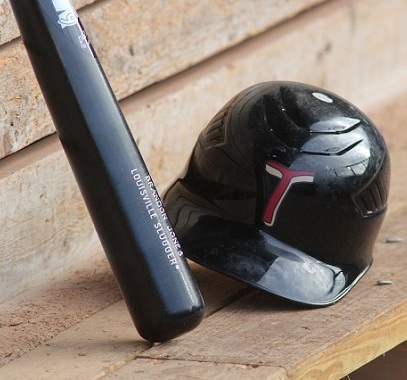 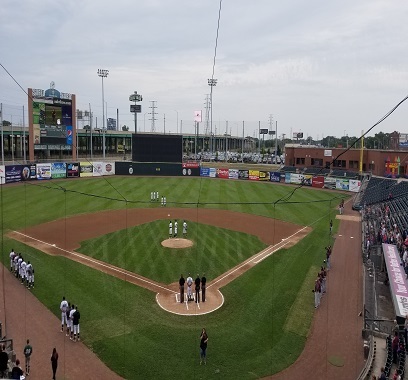 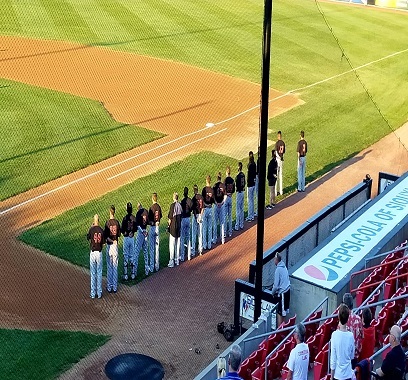 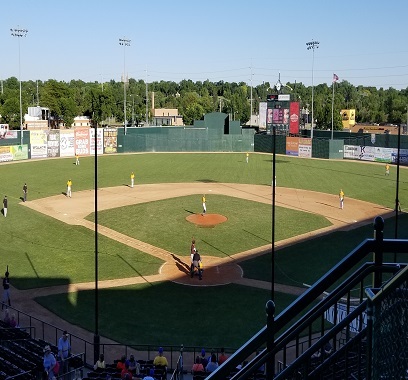 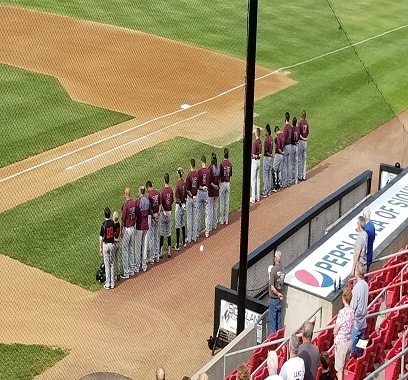 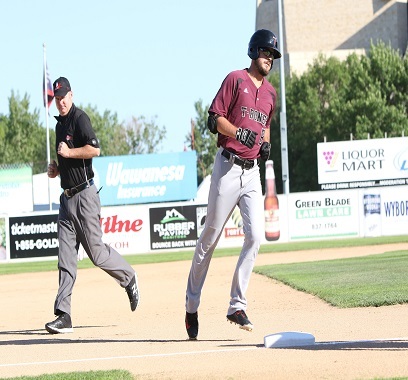 A another big first inning proved to be successful as the T-Bones won the first game of a four-game series against the Sioux City Explorers, 6-4, at CommunityAmerica Ballpark on a hot Thursday evening. 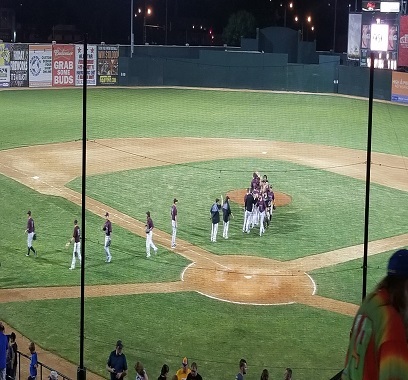 The T-Bones win their 10th series of the season. 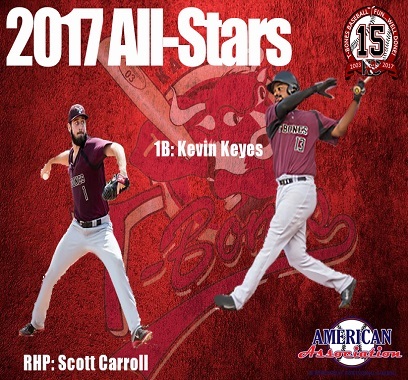 The T-Bones land two on the American Association All-Star Team. 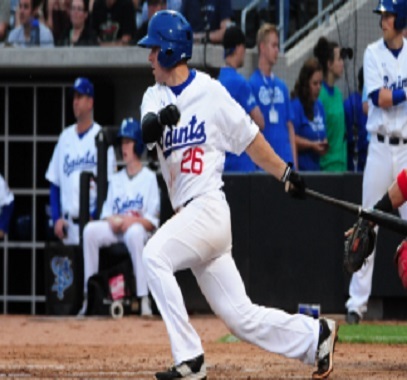 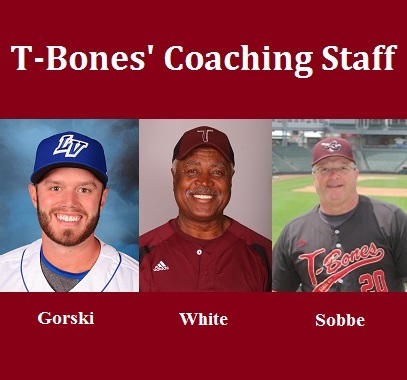 The T-Bones add a pair to the roster. 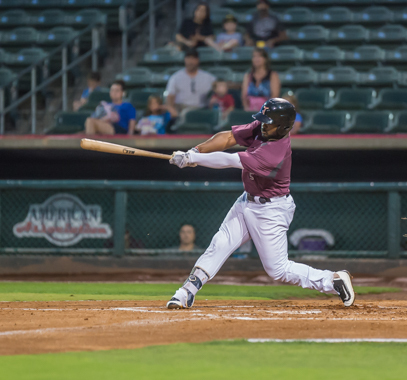 T-Bones fall short on the 4th in loss to Canaries. 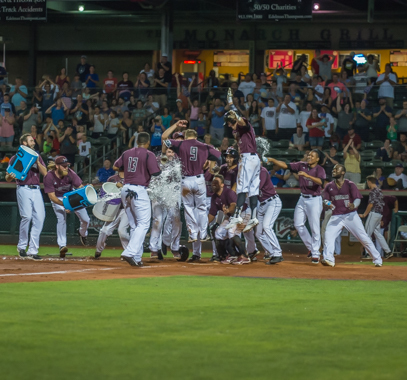 The T-Bones walk off winners in the 10th. 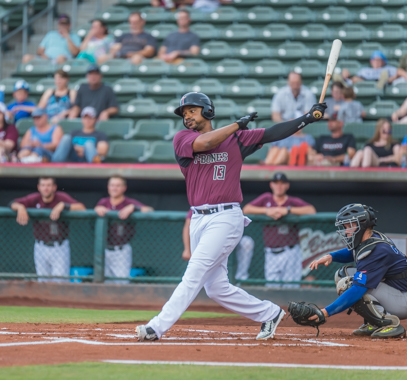 Marcus Lemon earns Player of the Week honors. 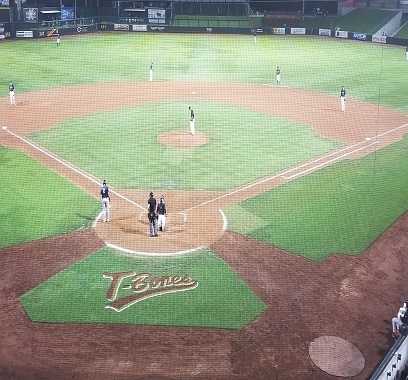 The T-Bones finish the trip 5-1 with a 6-4 win over the X's. 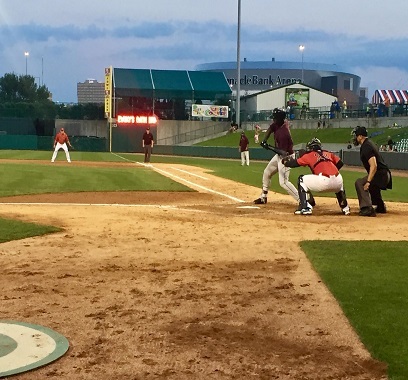 The T-Bones struck out 15 in the win over Sioux City. 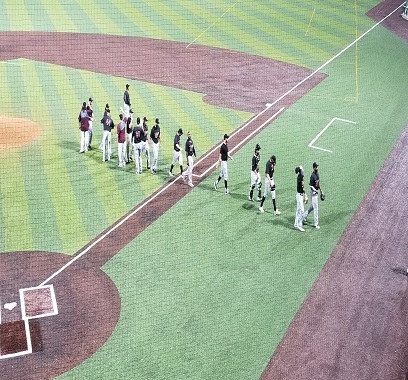 Inside the park homer happens on the anniversary of 2008 homer..
Kanasas City takes the series opener from Gary. 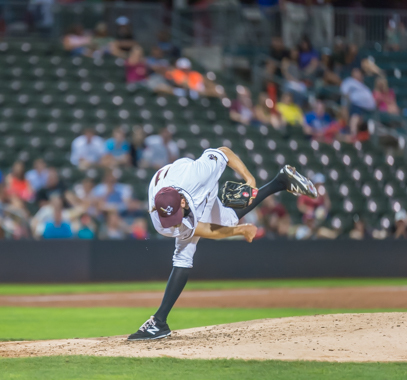 The T-Bones made some key pitches at crucial times to seal the series win. 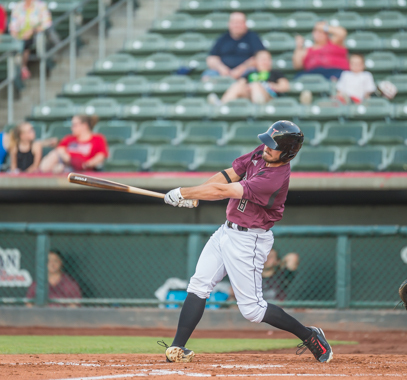 The T-Bones had a rocky third inning and never could recover in a 10-3 loss. 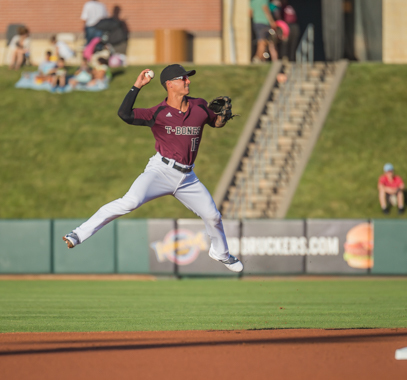 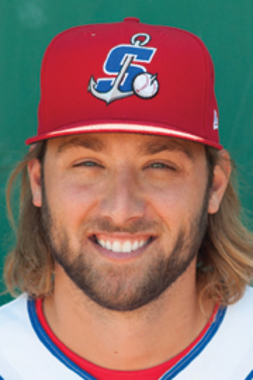 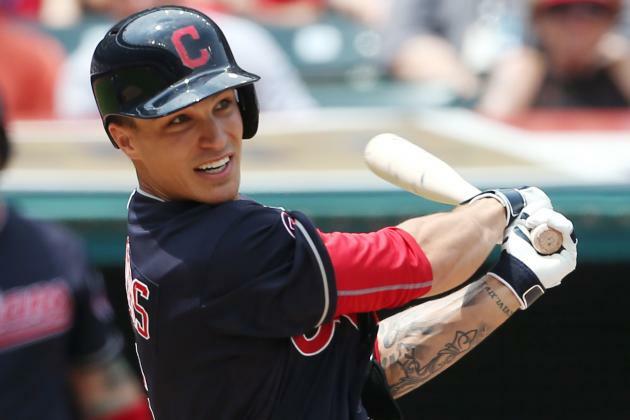 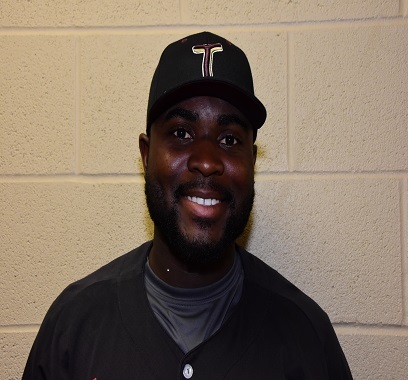 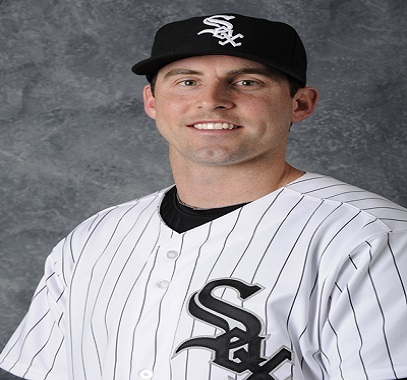 Trade brings former Major Leaguer to the T-Bones roster. 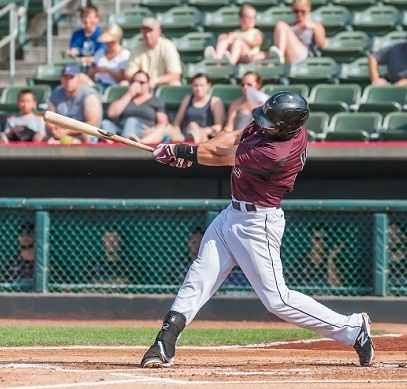 The T-Bones hit three home runs on the way to a 10-5 win. 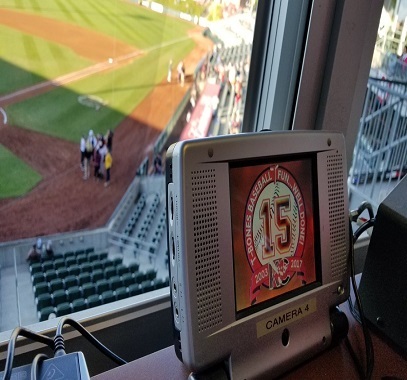 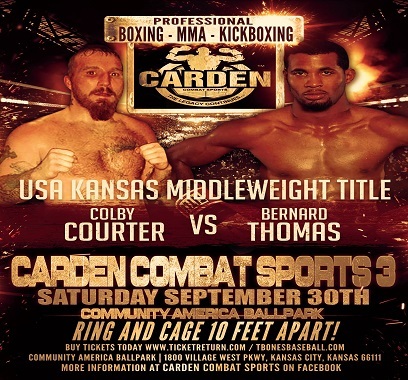 Home and away the T-Bone Broadcast Network has you covered. 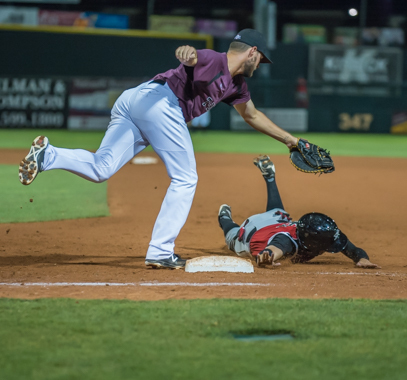 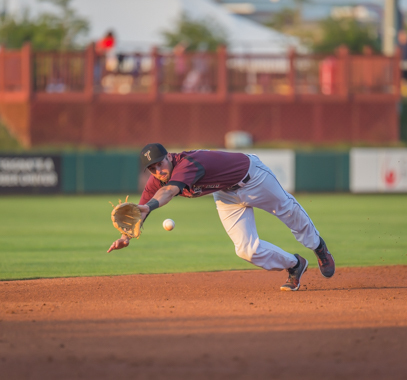 The T-Bones were dealt a hard luck loss Wednesday night in 13. 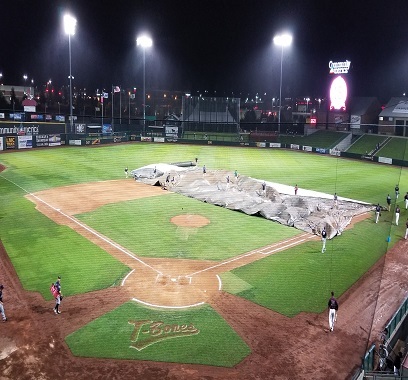 Kansas City played catch up all night long. 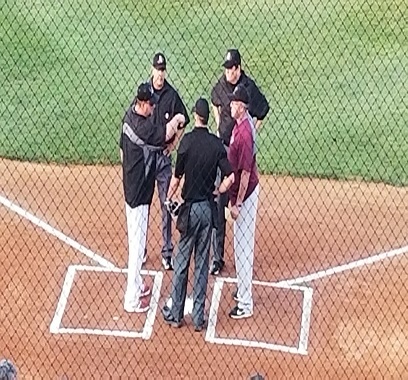 After an hour long rain delay the T-Bones and RailCats got the game in.. 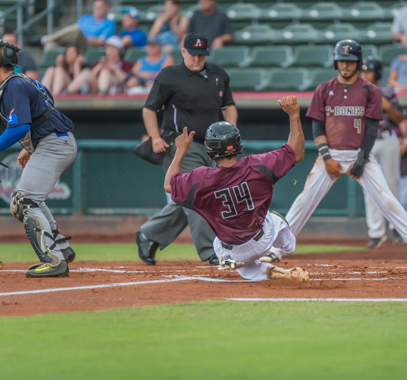 The T-Bones fought back late but fell just short on Sunday. 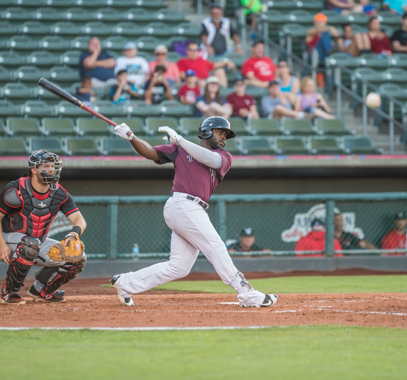 The T-Bones go deep twice but it was not enough to over come Lincoln. 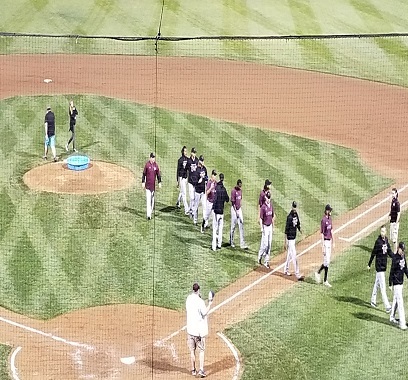 Following an afternoon-long downpour, the Kansas City T-Bones won their series opener against the Lincoln Saltdogs, 3-2. 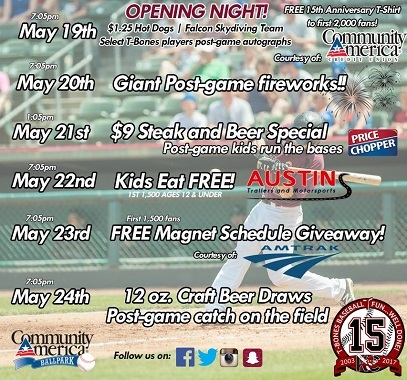 The T-Bones open up their 15th season this week! 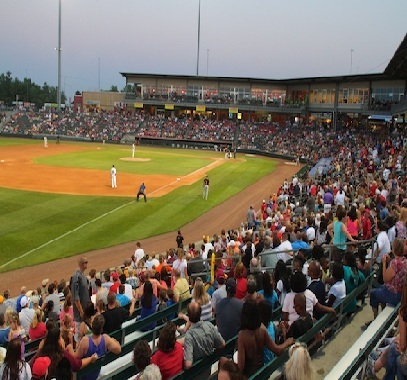 Also adding three more home dates! 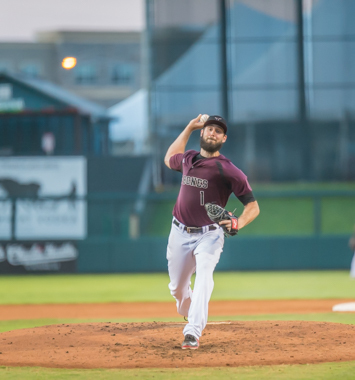 The Kansas City T-Bones announced the club has signed former Major League pitcher Scott Carroll to a contract for the 2017 season. 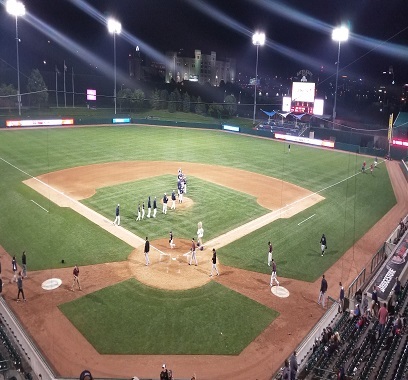 On a breezy and beautiful Monday evening, the Kansas City T-Bones defeated the Winnipeg Goldeyes 3-1, in their final exhibition. 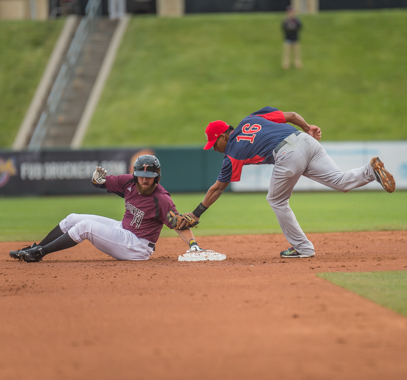 It was a windy Mothers Day as the T-Bones drop it 7-4. 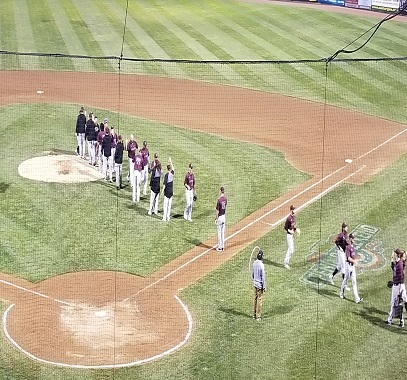 The T-Bones drop their first game of the spring to Lincoln. 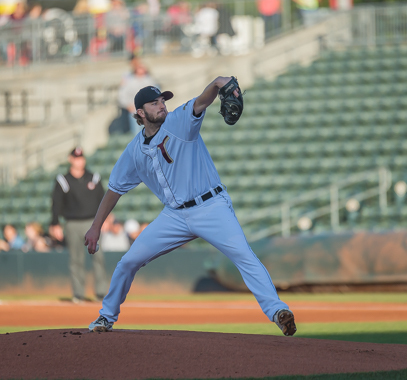 The pitching staff set the tone and the offense did the rest in a 5-1 win. 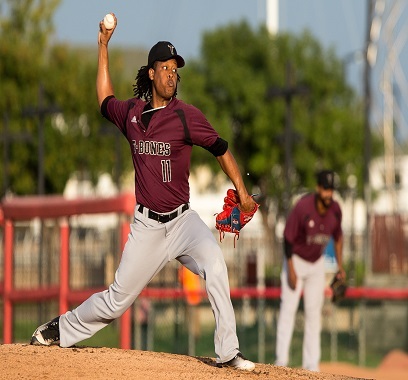 Five T-Bones pitchers combine to shut out Gary SouthShore 6-0. 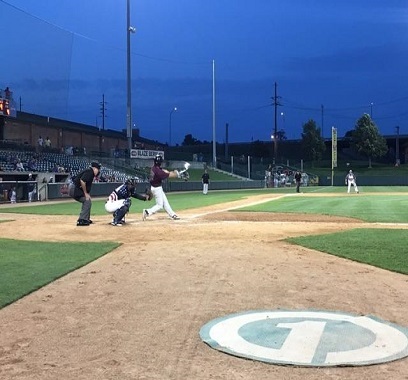 The T-Bones roll in the exhibition opener 15-1 over the Lees Summit Monarchs. 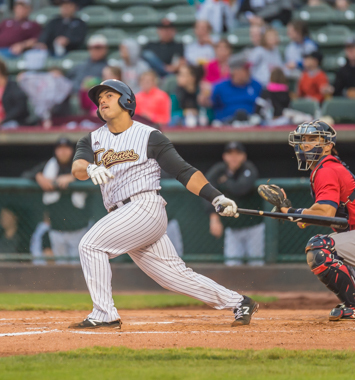 The T-Bones announced they have signed catcher Joe Jackson to a contract for the 2017 season. 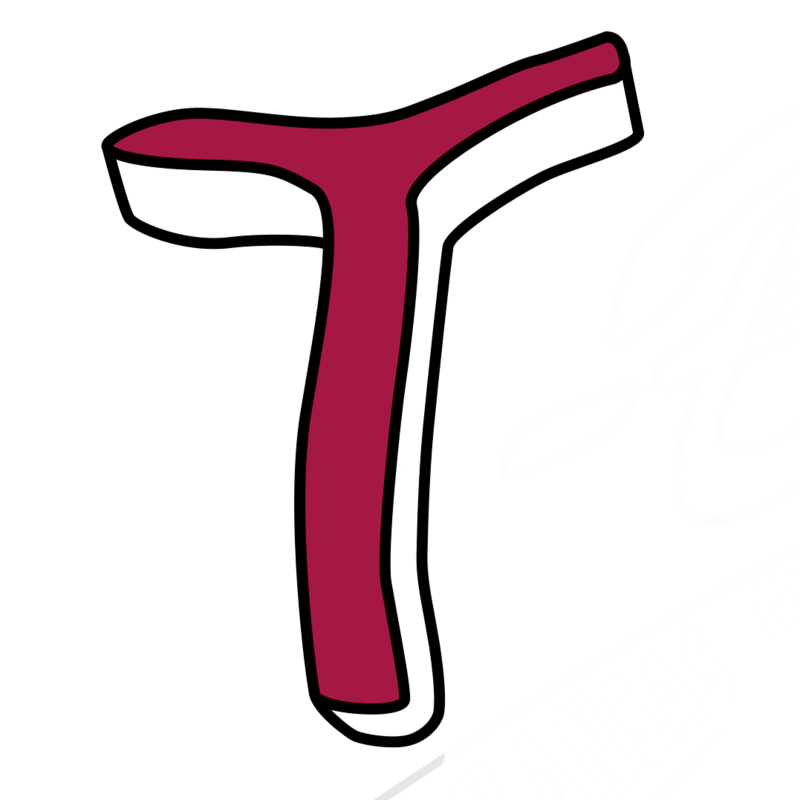 In preparation of their 15th season in Kansas City, the T-Bones have unveiled a special 15th anniversary logo and announced several promotions. 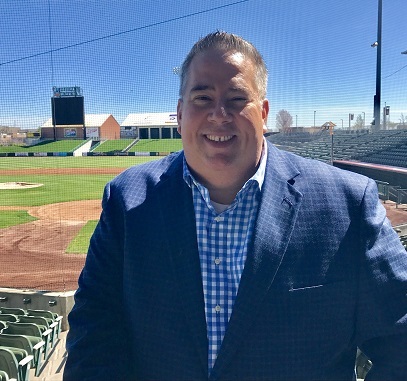 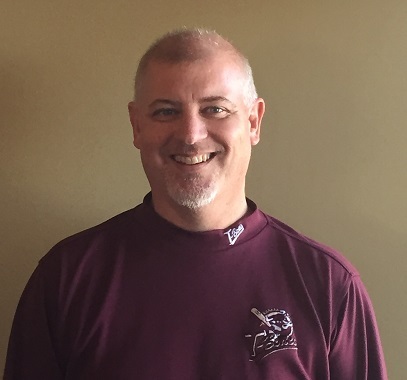 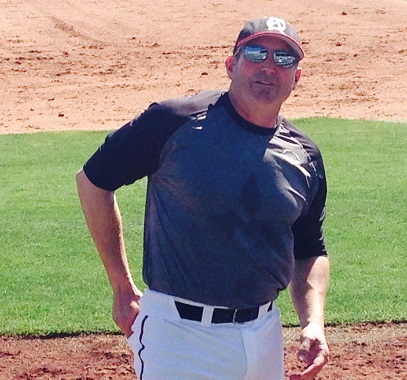 T-Bones' GM Chris Browne announced Tuesday that Scott Steckly is returning to oversee corporate sales. 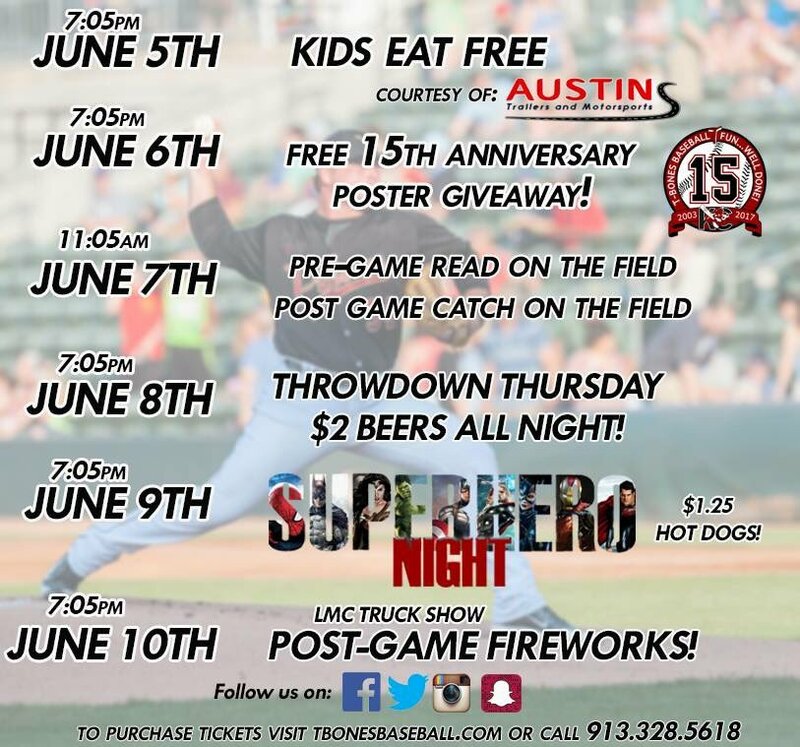 As the T-Bones prepare for their 15th season, the club has announced its early promotions and events schedule for 2017. 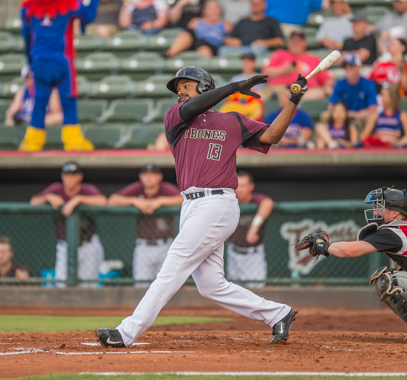 The T-Bones announced they have signed Marcus Lemon, son of former major leaguer Chet Lemon, to a contract for 2017. 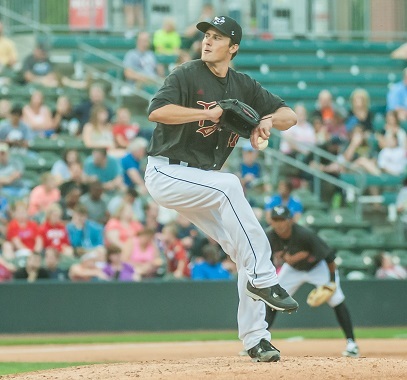 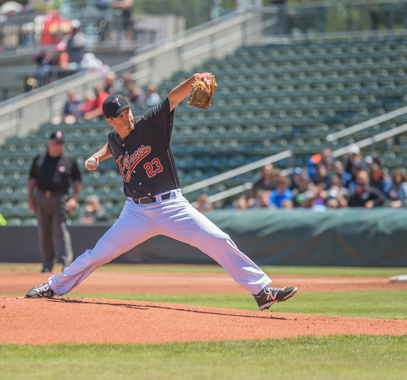 The T-Bones announced that the Miami Marlins have purchased the contract of pitcher Mike Kickham. 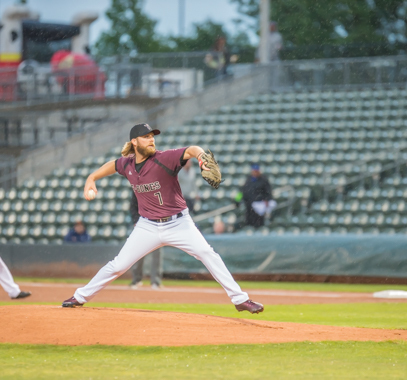 The T-Bones announced they have signed right-handed pitcher Christian Montgomery to a contract for the 2017 season. 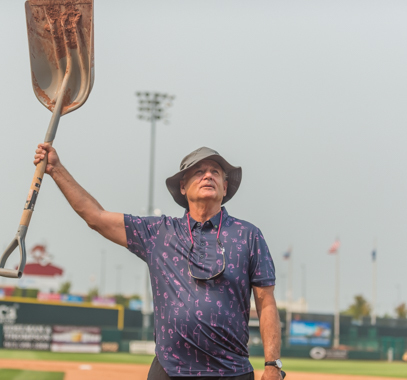 Interns are vital to the T-Bones throughout the season, but even during the winter. 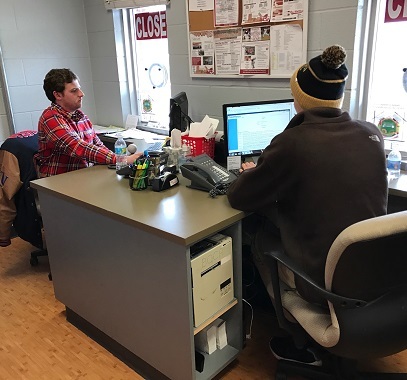 Here are our winter interns. 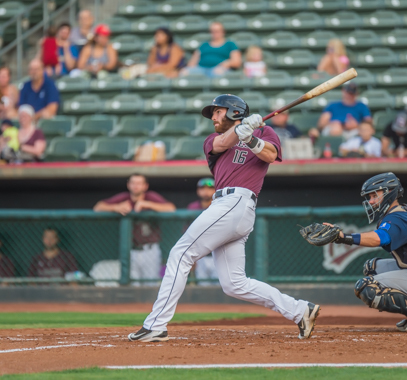 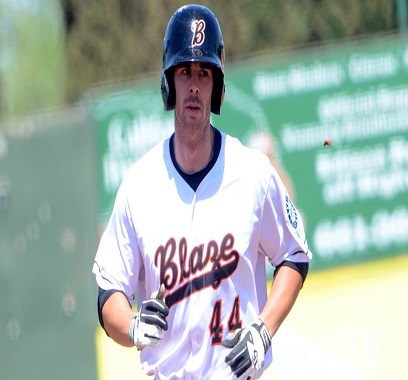 The T-Bones announced that one of the organization’s best players and a long-time Kansas City resident, Jake Blackwood, is retiring. 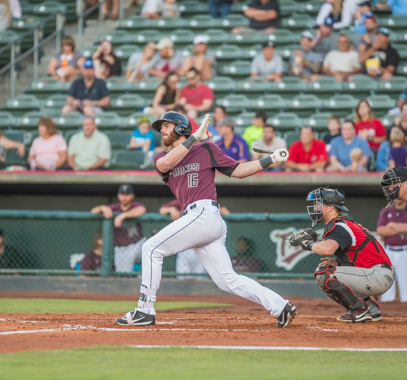 The T-Bones have signed Patrick Brady, who's played seven seasons in the Seattle organization, to a contract for the 2017 season. 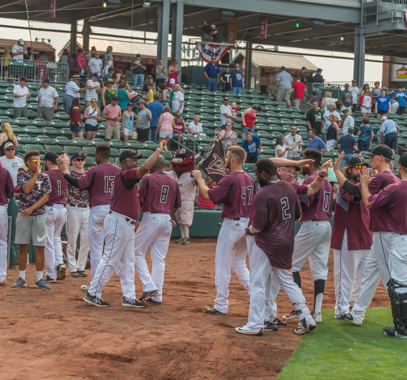 The T-Bones have announced the inaugural High School Series at CommunityAmerica Ballpark. 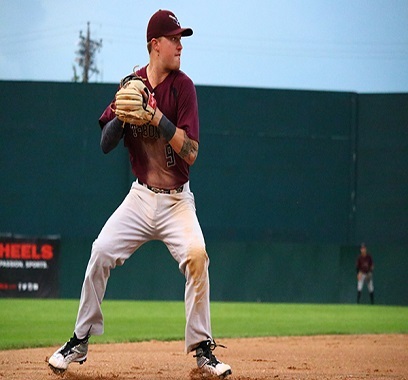 The T-Bones announced they have signed Jordan Edgerton and Cody Winiarski to contracts for the 2017 season. 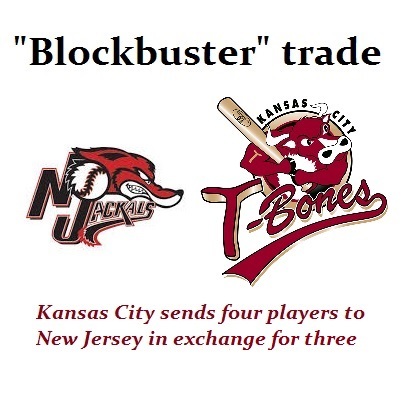 The T-Bones announced that they have acquired three players from New Jersey for three pitchers and an infielder. 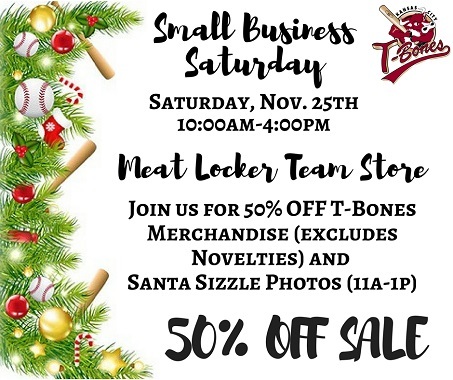 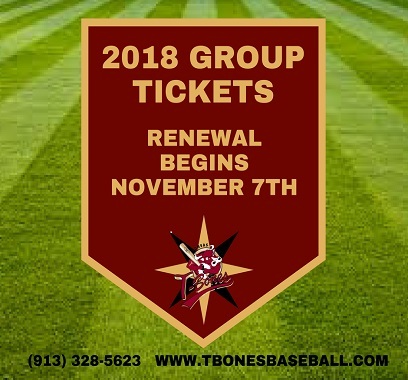 The T-Bones announced that 2017 group tickets will go on sale Tuesday, Jan. 17, starting at 10 a.m.
Do you have what it takes to play professional baseball? 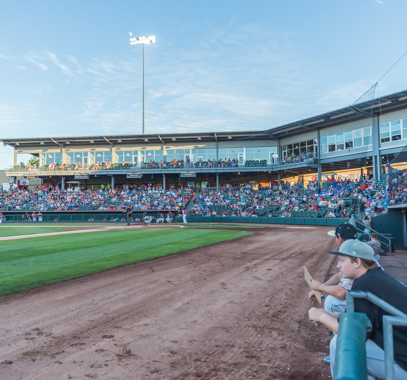 Here's your chance to prove it on May 5, 2017. 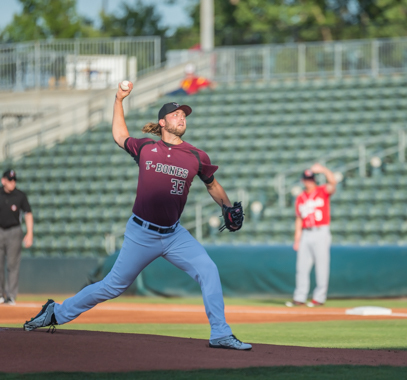 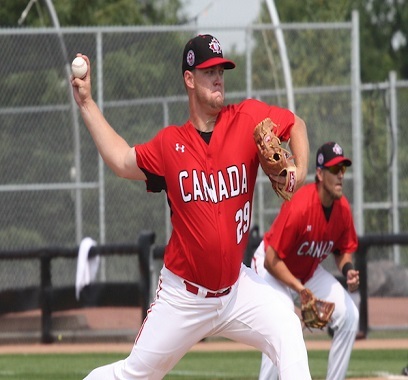 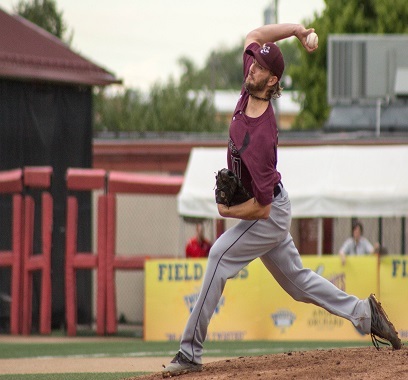 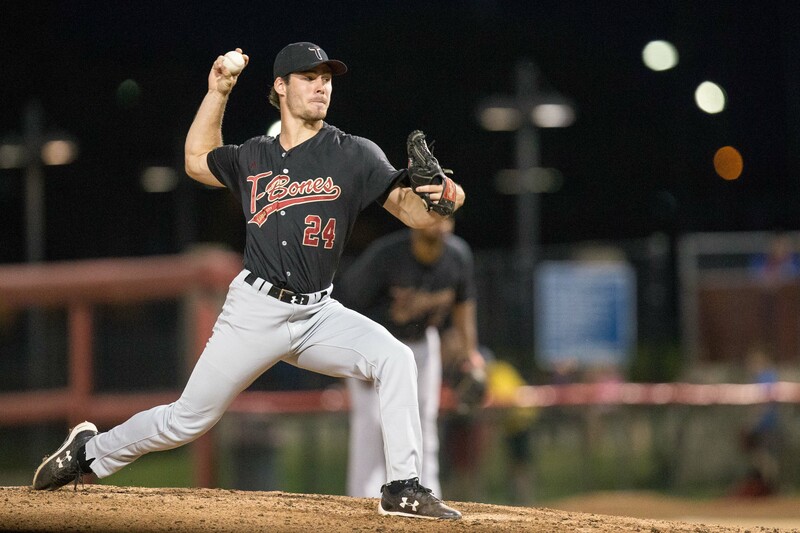 The T-Bones have signed pitcher Kuehl McEachern to a contract for the 2017 season. 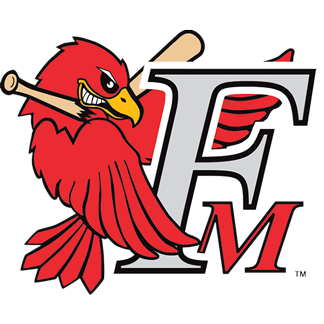 As we begin 2017, here are the New Year wishes by the members of our front office.